I have had the fortune of being down in one of my favourite cities – Palm Springs – and have enjoyed the heat, sunshine, wind and sand storms, and pretty much just about everything! 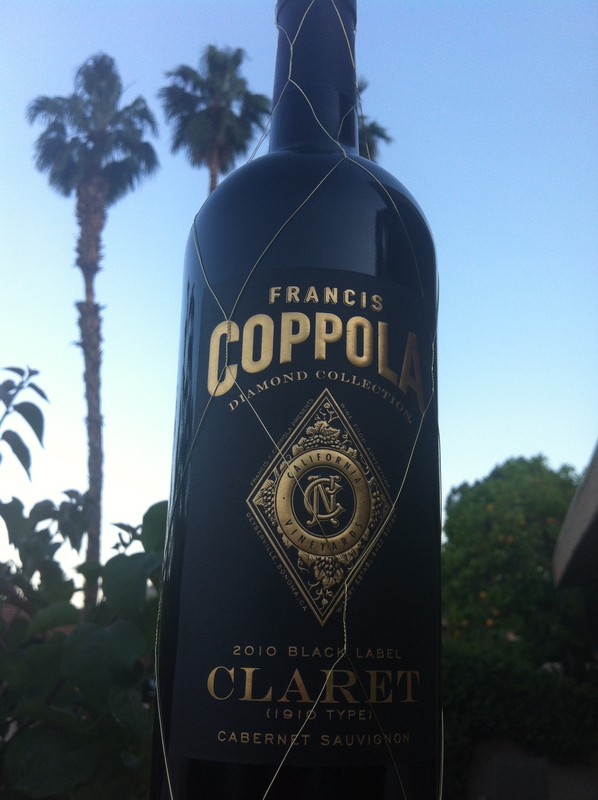 I decided to stick to my California red selections again this week and try Francis Coppola’s Claret 2010. I am VERY happy I did…I am not sure what I was expecting but I am pleased with this wine. The presentation of the bottle is quite fetching…it comes wrapped in a fine gold netting. 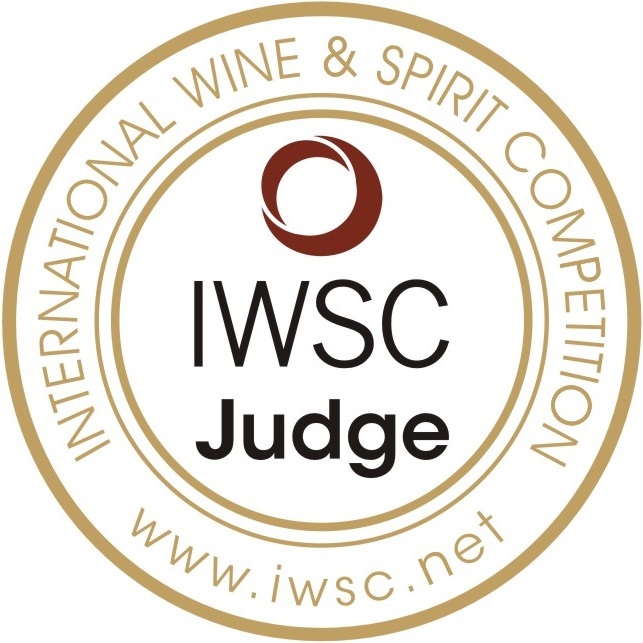 The winery website gives a ‘shout out’ to the British who originally described Cabernet Sauvignon based wines in the Bordeaux style as “Claret”. Coppola’s 2010 Diamond Collection is a Cabernet Sauvignon based blend made up of 79% Cabernet Sauvignon, 13% Petit Verdot, 5% Malbec and 3% Cabernet Franc. This wine was deep ruby in colour with a nice pronounced intensity of aromas ranging from black cherry and black currant to vanilla to coffee – YUM. It was aged for 11 months in French oak and this nice subtly shows up beautifully in both the wines’ aroma and taste. On the palate, this Cabernet Sauvignon was dry with medium – acidity and medium + tannin. It is a full-bodied wine with flavours of black currant, black cherry, vanilla, coffee, chocolate with a hint of pepper. I appreciate winemaker Corey Beck’s use of French oak for this blend – he has developed a very easy drinking, smooth red wine. Yes, this does fall into my “Hell Yes” category. I snagged this bottle in Palm Springs for $13.99 but it retails for $29.99 in the B.C. liquor stores. This is a nice wine to gift to someone with the lovely gold netting and the striking gold on black label. An absolute YES for me…this is a nicely balanced Californian red wine. At under $30 CDN, this is a bottle of wine that will not disappoint. Pair with a nice beef dish, meat based pasta, or some beef bourguignon. As always, thank you for reading! If you have not already signed up to receive my posts via email – please do so…top right hand corner – just enter your email address and my reviews will come straight to you!